10 January 1944: Keel laid by the Consolidated Steel Corp., Orange, Tex. 25 May 1951: Recommissioned at San Diego, Lcdr E. N. Weatherly in command, assigned to NRT, 8th Naval District, at New Orleans, La. 448k 21 September 1953: location unknown - USS Kenneth M. Willett underway. 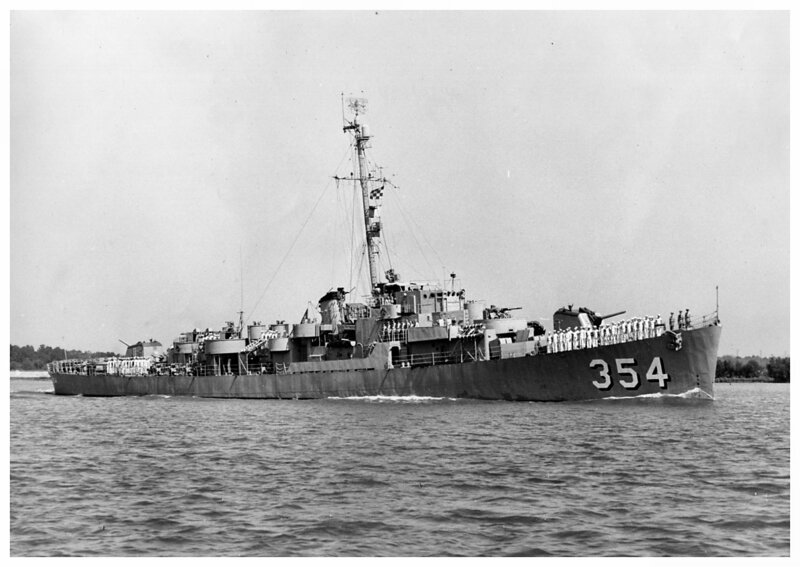 View the USS Kenneth M. Willett (DE 354) DANFS history entry located on the Naval History and Heritage Command web site. View the official War History of USS Kenneth M. Willett as submitted by the ship at war's end.